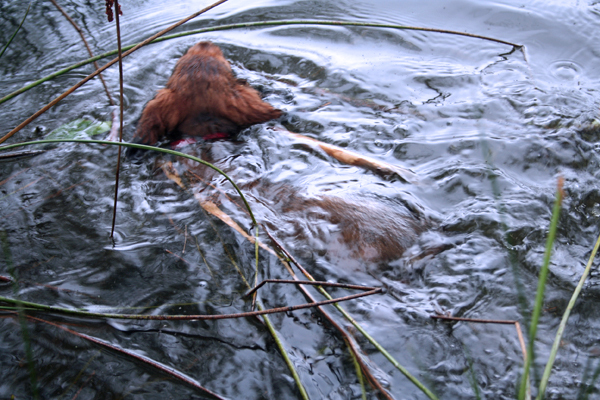 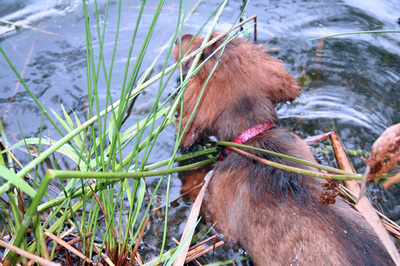 After tracking practice on a warm day in early August, 2012, I took 10 weeks old Taya to the pond. 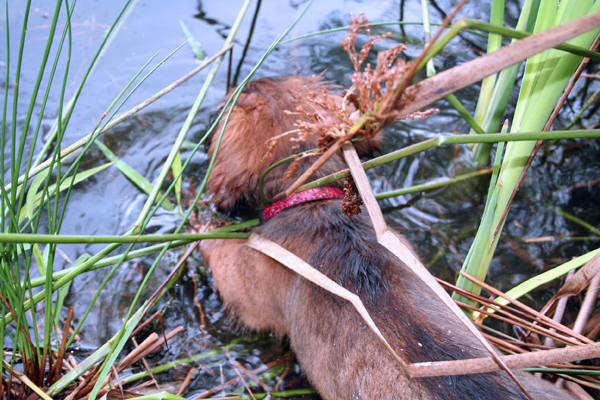 She took to it like a...dachs takes to water. 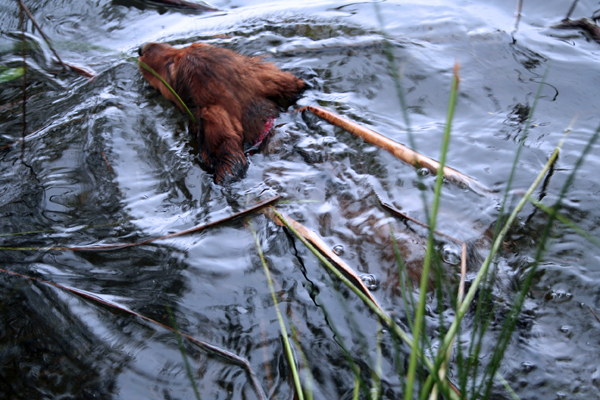 Taya felt very 'cool' and full of herself after swimming. 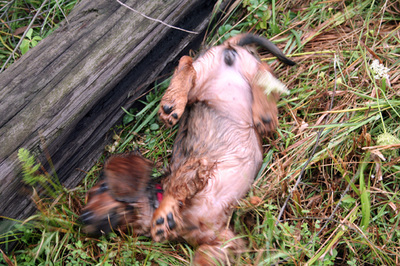 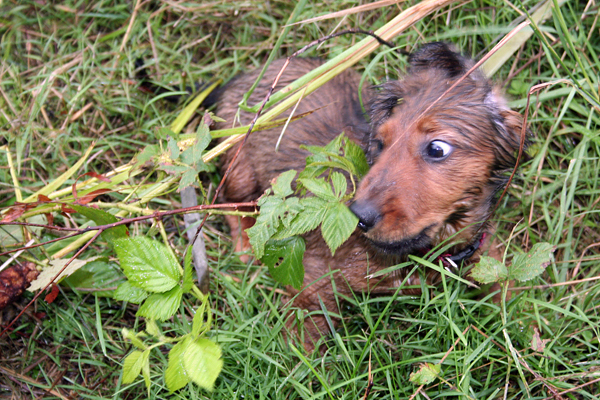 She rolled and ran and took revenge on brambles that bit her!